Spring is here and if you're on the lookout for a wheelchair accessible vehicle to enjoy the coming summer, why not take a look at some of the latest arrivals at Mobility One, Sturdys Castle, Oxfordshire? We always have a number of vehicles based on the practical Renault Kangoo and this one looks particularly good in a cool ice blue metallic colour. It's a well-equipped 1.6 litre petrol automatic Expression model with the highly regarded Allied Mobility conversion which retains one seat in the rear. The driver is well catered-for with power assisted steering, anti-lock brakes and central locking, making it easy to live with. It's a 2012 model with less than 25,000 miles on the clock and excellent value at £9,150. A larger vehicle but still car-like to drive, this Peugeot Expert HDI Tepee Comfort has a GM Coachworks conversion which allows the largest of chairs - up to 300kg. With an easy to use ramp and full four point chair fixing it's a 2011 model with only 19,860 miles and it's yours for £10,000. This Renault Master has the benefits of a van conversion and the tools to make life easy. Less than three years old, this stylish metallic grey short wheelbase van has an electric winch for the lightweight rear ramp with privacy glass and a separate aircon and heating system in the rear for the wheelchair user. There are three seats in the back as well so the whole family can come along; equally it would be great for a care home or day centre. Low mileage and well cared for its excellent value at £16,250. 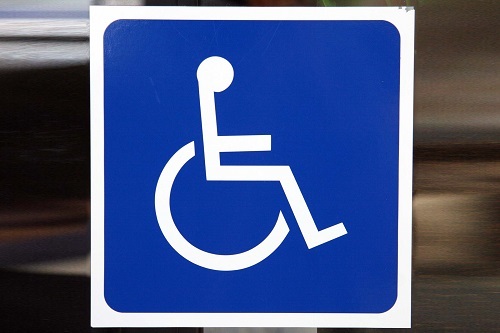 We've always got a wide range of wheelchair accessible vehicles in stock at our premises between Oxford and Banbury, right on the A4260, not far from the M40. Why not pop in for a chat?